My Cheesy Cauliflower Pizza Crust is loaded with flavor…and cheese! 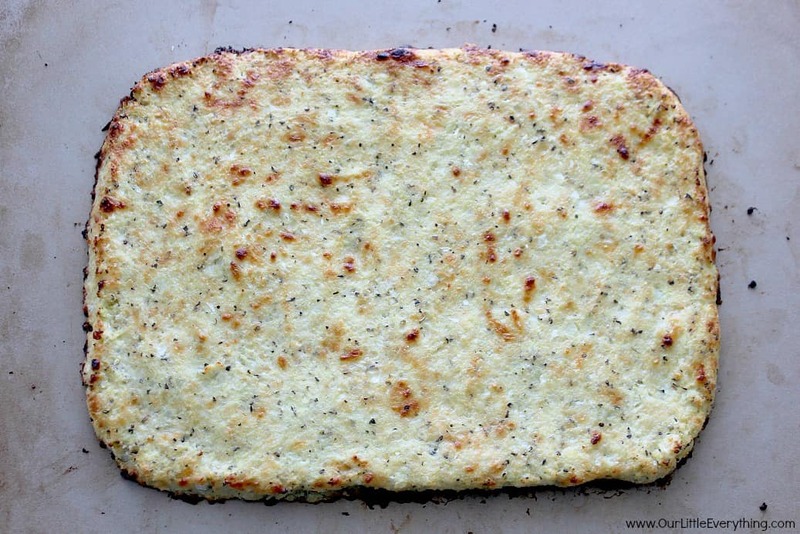 It holds together better than any other cauliflower pizza crust recipe I have tried so far! We make cauliflower pizza crust regularly around here because it’s both gluten free AND low carb! I have tried several other versions of cauliflower pizza crust and have come to realize what I liked and what I didn’t like about them all. So many promise a crispy crust, but in actuality, it never turns out truly crispy. 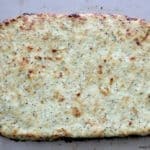 My version of Cheesy Cauliflower Pizza Crust gave me more crispier edges than I had been able to achieve in the past, but I’m not going to sit here and promise you ever bite will be crisp. Once you start adding sauce, cheese, and toppings, it will loose some of that – it’s just the way it goes, sorry. It does hold together better than other ones I’ve tried though. The secret is not so secret – cheese! I’ve seen cheese-free versions of this type of pizza crust as well, but if you’re looking for a cheese-free pizza crust, this isn’t the recipe for you because my Cheesy Cauliflower Pizza Crust is full of it! I decided to use both Parmesan and mozzarella cheeses in the crust. Personally, I always find myself ordering the pizza that has the most cheese! I am a cheese addict and I am not ashamed to admit it! So…the more cheese, the better. I also added a little salt and basil. I purposely opted not to include oregano or garlic. I find that most pizza sauces have enough oregano in it and if not, you can also sprinkle on more according to personal preference. I left out the garlic because the type of pizza I was making to top this beautiful crust, has freshly roasted garlic in it. 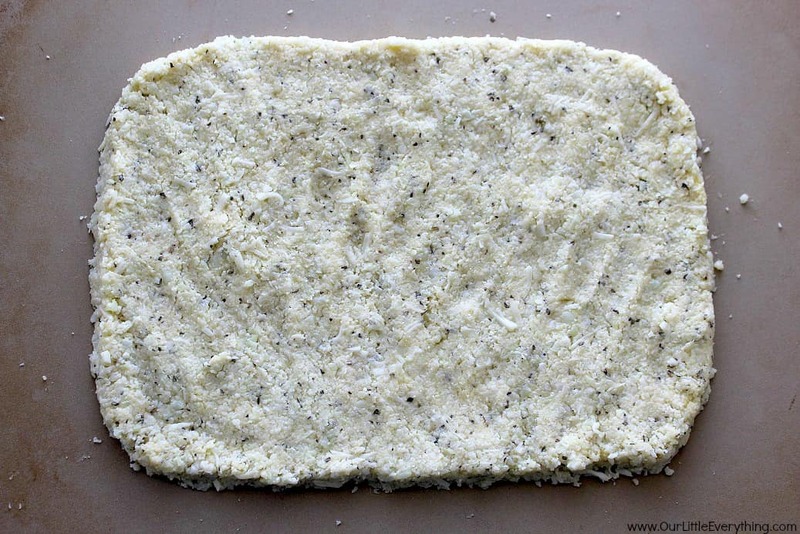 You can go ahead and add a half teaspoon or so of garlic powder if it’s easier or that’s all you have on hand, or check out my Spinach Ricotta Pizza with Roasted Garlic recipe and see how I use the roasted garlic and olive oil to add a ton of flavor to this pizza! 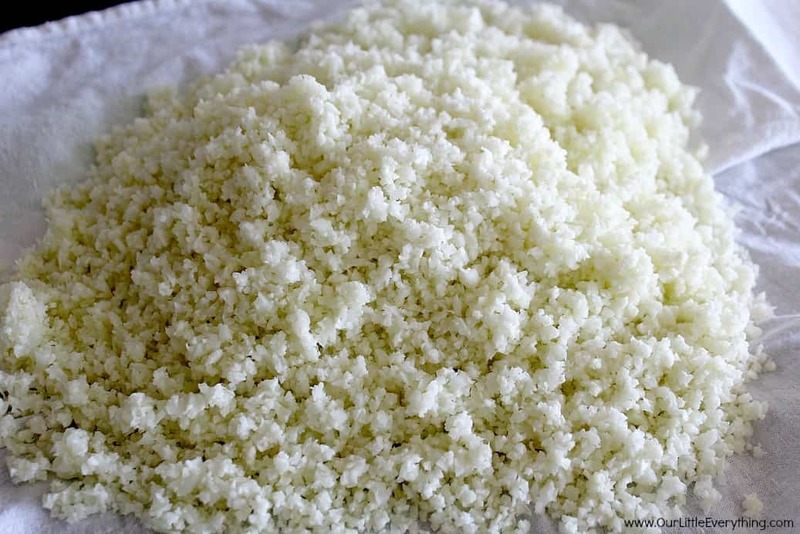 Use a food processor to quickly rice the cauliflower. 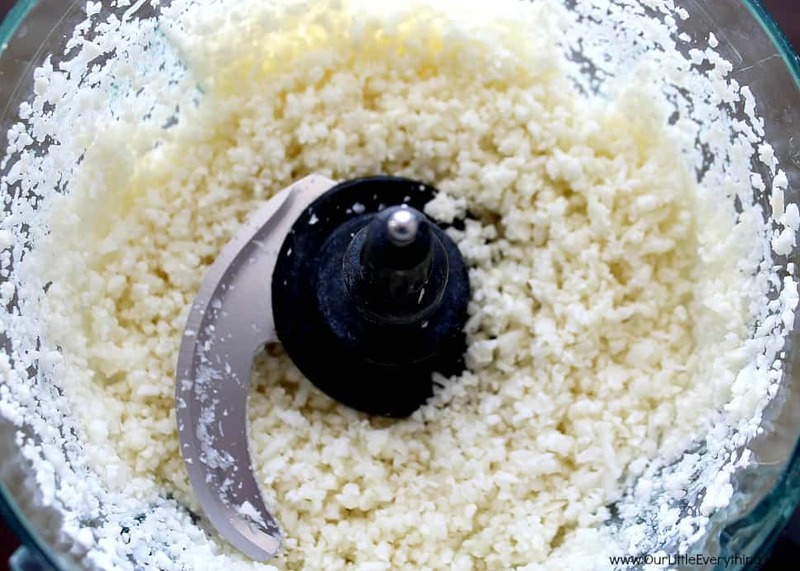 You can also use a manual grater. You’re gonna squeeze, squeeze, squeeze all the excess water out until you’re left with what looks like…. Mix in your spices and an egg and put on parchment paper (not shown!) on a pizza stone or baking sheet. The parchment paper will help keep the crust from sticking. I made mine pretty thick – about a half inch. All done and ready for toppings! Hopefully you’re here because you’re planning on trying my version of Cheesy Cauliflower Pizza Crust and hopefully you love cheese and think this is the best cauliflower pizza crust out there ha! Seriously though, if you’ve already tried it or plan on trying it, let me know! I’d love to hear what you think! Loaded Cauliflower Bites – my low carb alternative to potato skins! Cheesy Cauliflower Soup – another low carb cheesy option that freezes well for a quick meal when you need it! This Cheesy Cauliflower Pizza Crust is loaded with flavor...and cheese! It holds together better than any other cauliflower pizza crust recipe I have tried so far! Preheat oven to 425 degrees F. Line a pizza stone or baking sheet with parchment paper. 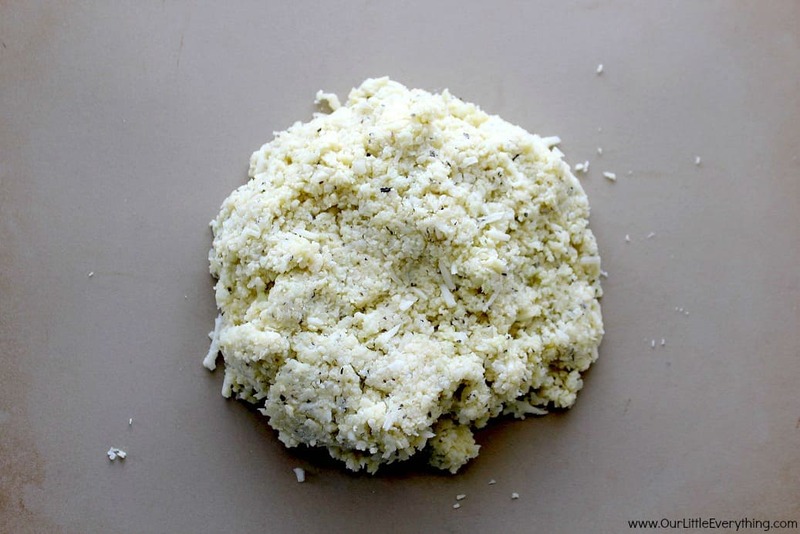 Rice the cauliflower in a food processor or grate it with a manual box grater. Place in a microwave safe bowl, and cover with plastic wrap leaving one area slightly open to vent. Microwave for 4 minutes. 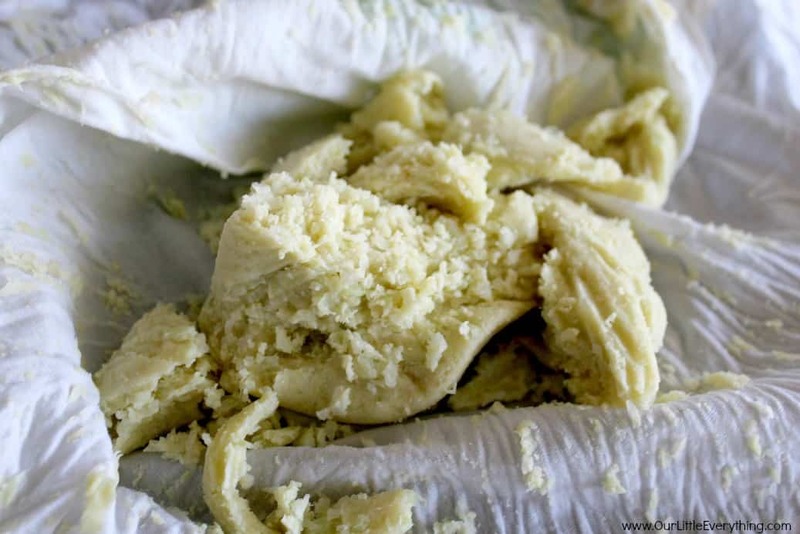 Remove and dump the cauliflower onto a clean kitchen towel. LET COOL! 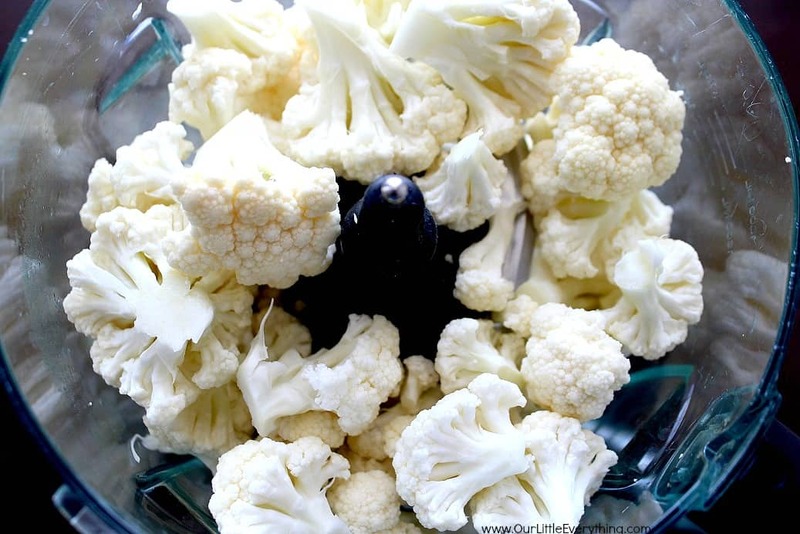 Once the cauliflower is cool, squeeze out as much water as you can. The more water you get out, the better. 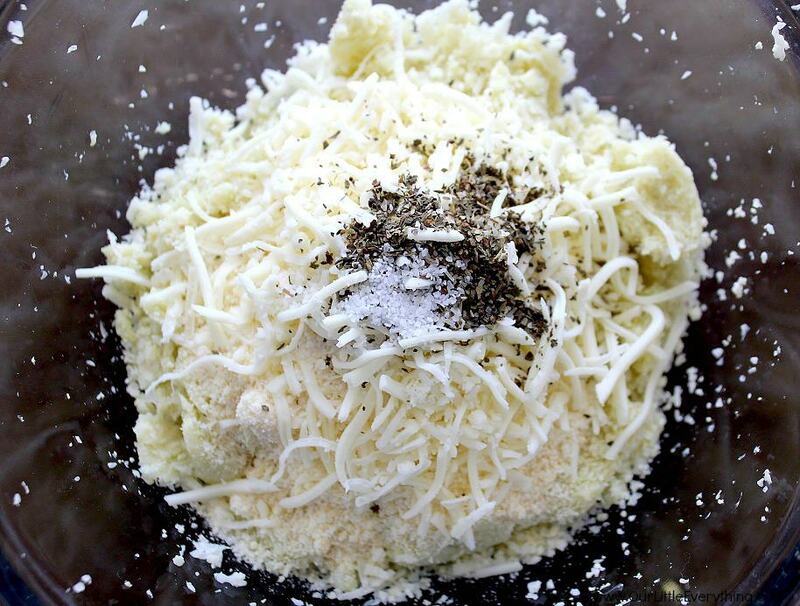 Place the cauliflower back in the bowl and add the salt, basil, Parmesan cheese, mozzarella cheese, egg and garlic powder (if using). Mix until well combined. 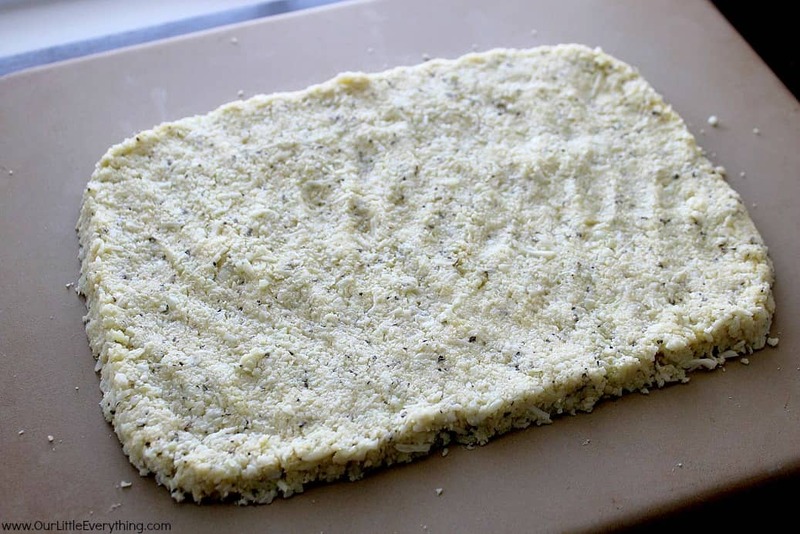 Spread the cauliflower "dough" out onto the parchment lined stone or sheet and shape into a rectangle or circle about 1/4-1/2" thick. Bake for 10-14 minutes, depending on thickness, until it starts to brown evenly. Remove, top as desired. You will have to bake the pizza again after the toppings are on for about 5-7 minutes.